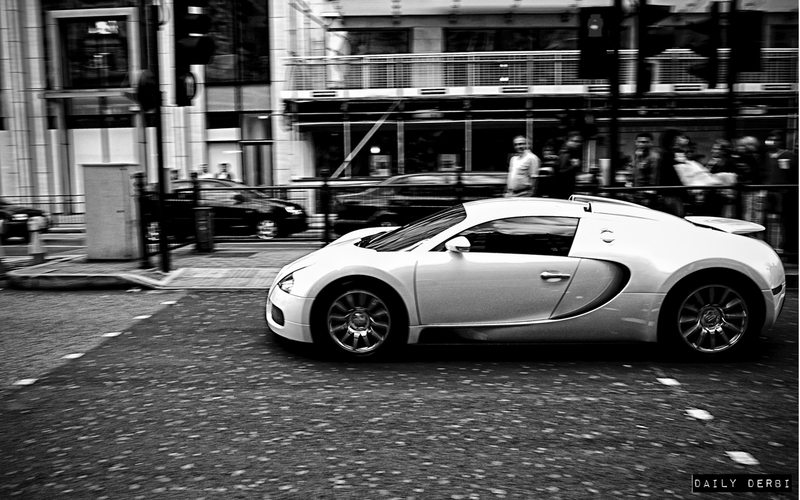 The Bugatti Veyron. What is there to say which hasn’t already been said? I could cook up a nice hyperbole burrito for you, but you still wouldn’t really understand what the Veyron is capable of. Until you fly down a straight road with the rear wing up or splash into a lake in this 1.5 million dollar car, you can’t truly appreciate it. You can gawk at its lines, but everyone is always dreaming of the day that they will finally be able to… still not afford one. In fact, you likely wouldn’t even be able to afford to service it. Or buy tires for it. I took this photo outside London’s Harrod’s department store. How did this individual afford the car? The interesting characters on the license plate lead me to believe that somebody’s daddy owns an oilfield, and they were in town to buy a couple $400 t-shirts.